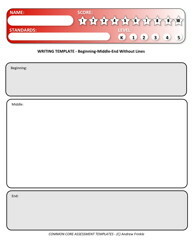 These are 3 different forms to practice writing a simple essay with a beginning - middle - end structure. 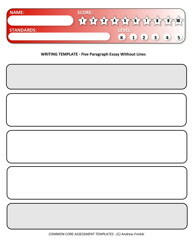 These are 3 different forms to practice writing an essay with 5 paragraphs. 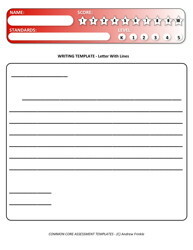 Here are two forms to practice writing letters. 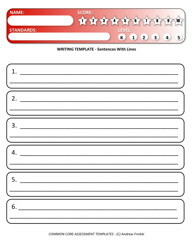 Here are two forms to practice writing sentences. 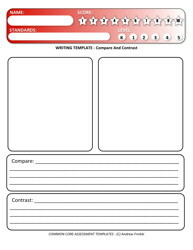 These are two styles of compare and contrast writing forms, which you can use with pictures, illustrations, physical objects, or writing samples that you put in the blank boxes. Write about them below. 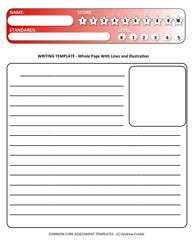 Write on a whole page, either an essay or a story. 2 versions feature small illustration boxes. 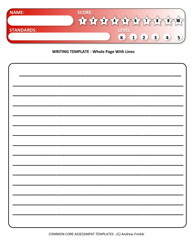 Write on a whole page, either an essay or a story. Each one is nearly a whole page with small illustration boxes.